Networking giant also upgrades its own smart cities platform. Cisco has announced a new funding program aimed at supporting the creation of smart cities around the world. The City Infrastructure Financing Acceleration Program is a $1 billion program that will make it easier, faster and more affordable for cities everywhere to fund and adopt advanced technologies. The funding will be provided through Cisco Capital, together with Digital Alpha Advisors, APG Asset Management and Whitehelm Capital. 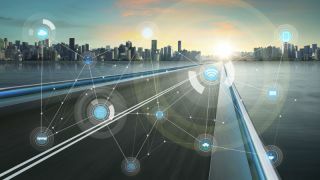 The news, announced during the Smart City Expo World Congress event in Barcelona this week, was accompanied by further Cisco updates to its smart cities platform, as well as new purchasing options for the platform. Cisco announced new functionality to the Cisco Kinetic for Cities platform. These include extra support for public safety, like full-policy automation options or an improved dashboard with integrated video. There are also real-time notifications of emergency information, as well. For purchasing options, Cisco now offers pre-packaged starter solutions, which combine the Cisco IoT data platform, solution, and services with those from its ecosystem partners into ready-to-roll-out, end-to-end solution suites. Those looking to learn more should head over to this link. Those interested in learning more about smart cities in general are invited to check out IT Pro Portal’s Smart Cities Hub here.